So the ‘Beauties’ fresh from ‘Align 2’ Workshop have arrived in our class. Bjarne’s arms and head requirements gave them a bit of a jolt and I wonder if any were on the verge of tears as I was in my first class. 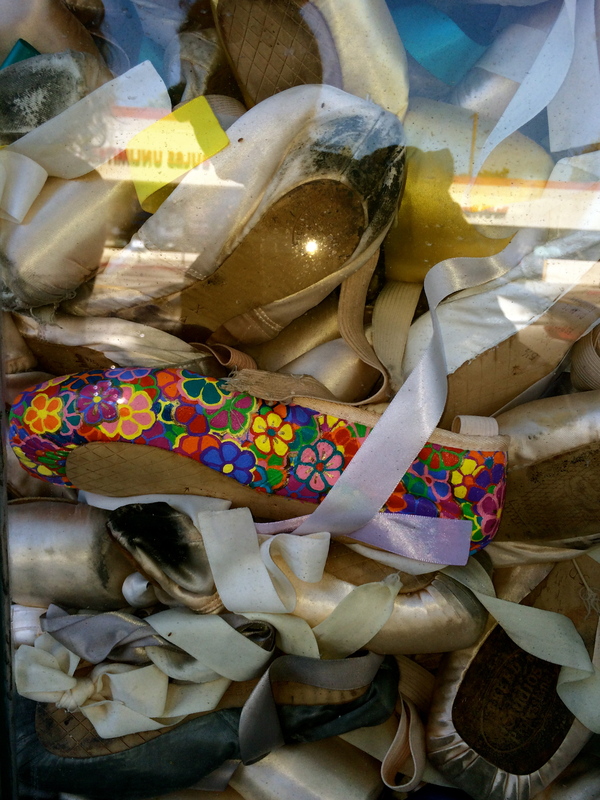 One delicate dancer was gripping the bar so hard it was squeaking and rattling. – be as free of the bar as possible. ‘Let legs be as arms’ has been a mystery to me my whole life. My legs seem heavy to move around and yet I see dancers (like Bjarne) toss them around as easily as their arms. I struggle to lift those babies. And coming back to dance after more than thirty years it has been very humbling to ask my leg to extend away from me and it just doesn’t go. I have lost much. But if I am to build again I want to do it differently or there is no point. Bjarne talks about using an image to balance. Ballet is filled with one leg balances on the ball of your foot. I have had moments of understanding when he first explained it, ‘Look slightly up and let your body be lifted and held by your inner vision’. When I gave myself over to the image it worked like a charm. But I haven’t been able to repeat enough to make it mine. Yes, it takes time to built the muscles in my feet and calves but the hardest thing of all for me is surrendering completely to the image. Even though I have done it and when it works, it’s easy and thrilling. As if I live in a room and when the image is applied I live on the window ledge with the wind in my hair. How I want that. Why don’t I let it be easy? Am I battling my logic that an image can hold me? When the image leads my whole body comes under one director. My body understands how to bring all its parts together when an image is clearly applied. I know this image space is where the dance lives. So I seek an image for moving my legs like arms. Something that will unite my body and engage the right muscles. I have to be patient as I need the muscles to be developed inch by inch as I search to connect to the right image. This is so important to me that I would not take class without trying to implement this goal. Perhaps feeling like my legs are a burden started when I was a baby. I was born with a floppy foot and had aluminium splints put on both my legs from the time I was 6 months to 18 months and my crawling and and walking impulses were lived out with bound legs and feet. Can the image be stronger than cellular habit? Will awareness and use of image overcome an old and no longer relevant idea? We shall see. Inch by inch. 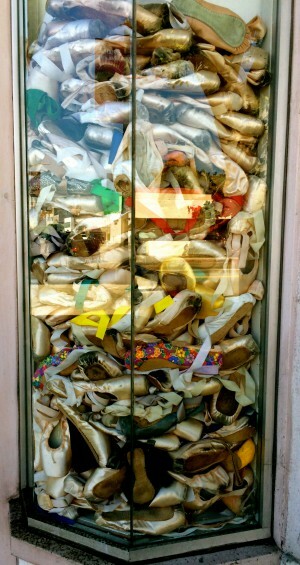 The photo below is of a window on Beverly Blvd near Kings Rd in Los Angeles where old point shoes go to rest. 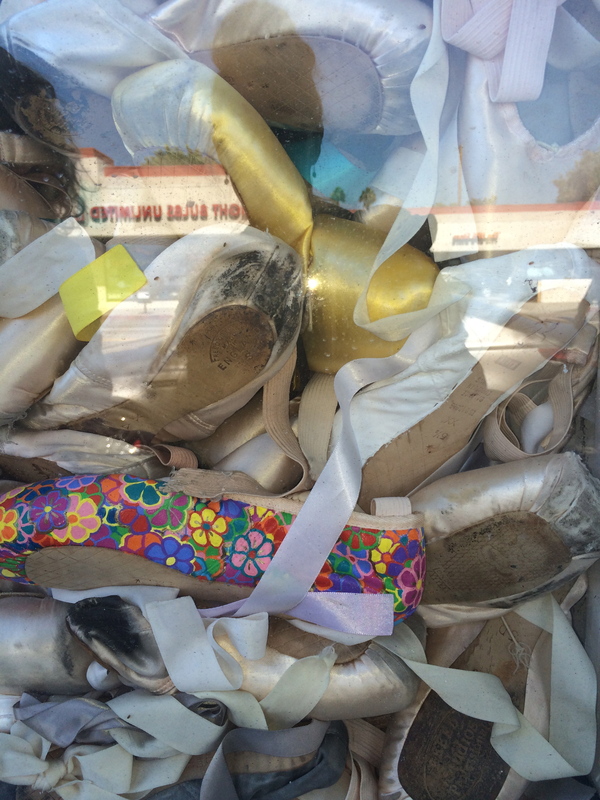 So I have had twelve ballet classes and now I have a choice. Do I repeat Align 1 or Align 2 or do I leap into an Open Class where the assumption is that you have a pretty solid basis what a ballet bar is and and can take some challenges. Even though it had been thirty years since I’d struggled through a class my excitement and perhaps hope/delusion led me to take the leap into an open Align 2 class. I knew it would be fast and more challenging but hey I’d had twelve classes over twelve weeks, bring it. Michael Cornell had hired a new teacher and had sung his praises. His name was Bjarn Hecht and had been the principal dancer of the Royal Danish Ballet for ten years. Apparently he was all about the arms and head. Bjarn is in his 50’s with a perfect dancers body. I believe I remember hearing that at first he thought it was a ridiculous idea to teach ballet to adults but has since been won over. He has been dancing since he was a little boy and it all came easily to him. He moves like a dream. When he hits a perfect postion it’s as if the lights in the room have been turned up a notch. It makes you understand what physical geometry is about. And he wants the arm and head working in the classical way right from the first plie. By the third exercise my brain was tired from trying to keep up and I felt that horrid feeling in the centre of my chest, thobbing confusion followed by shame leaving me overwhelmed and lagging behind, I felt like crying. I scrambled to keep up but it was too late as I had slipped off the calm and clear perch I had walked in with and was swimming around in a panic. My hand, sweaty with fear clung harder to the bar, my vision blurred as I looked around for someone to follow so I wouldn’t look like a fraud. But I wasn’t a fraud, I was a student, and I was in the process of learning. Bjarne wasn’t criticizing me, no one was judging me (not 100% certain of that) they were busy with their own concerns. Sure I was overwhelmed but I was doing what Michael believes in, making the shapes as best I could, focusing on how I get from position to position, knowing that my brain would wire them in. 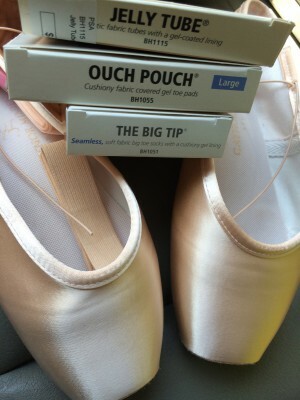 Not today but someday the language of ballet would come easier. Neuro Plasticity is now a thing, even though the brain was capable of doing it for years before it was ‘discovered.’ What we are told about how are bodies work informs us so much vs. what it actually is. A nod to those outliers who live beyond cultural expectations. How much can the aging body respond? How much can I persist? Yet to be known. Bjarne, asks us to focus on ‘the dance’. Reach, extend, have a story. And I am touched by how truly he delights in moments of grace we manage to exude. He is a Master teacher. Next week will have dancers come to our class that are fresh out of an Align 2 workshop. I have seen them, they are a bouquet of wild flowers who are thrilled beyond to be doing ballet. They have the outfits, they have the awe, the laughter and an amazing camaraderie. They even presented Michael with a bouquet when they finished their workshop. Come to us ladies, you will be in good hands.